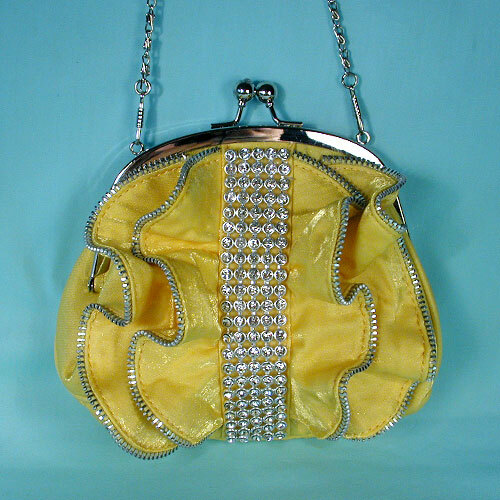 Zipper Trimmed Rhinestone Purse A really fun and trendy evening bag that works well for both casual and dressy evening event. It is fashioned with a four line row of rhinestones down the center front and ruffles trimmed with silver zipper tape. Its available in pink, red, aqua and bright lemon yellow. Color: yellow Hue: Code: #FFFF00. Measurements: width 7½", height 6", depth 2.